I've been meaning to combine more of my other interest like gaming and kdrama watching with my blog. With the craziness of life it kind of fell by the wayside but being I'm obsessed with a new Kdrama, now seems like the perfect time. I'm a historical fiction fan, especially when it has more of a fantasy aspect. I think I also enjoy historical fiction from other countries because they date back so far they feel like fantasy. I'm really enjoying Scarlet Hearty Ryeo because it has the politics of the period, the fantasy as of course time traveling isn't real and of course a romance. I also find one of the main love interest fascinating because he begins not seeming like a very good person. So here is a peak of the series from the trailer. You can watch it at Dramafever but only the first 3 episodes are out. They air every Monday and Tuesday. Which at this point can be torture. 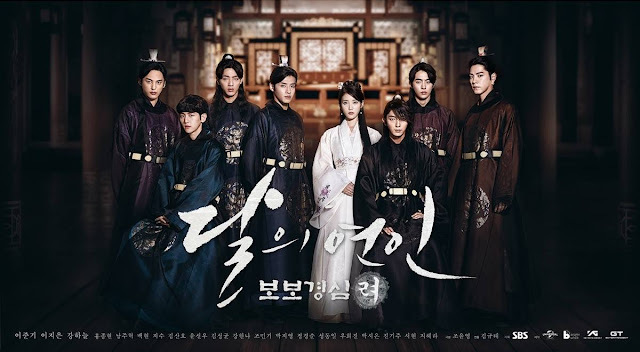 Scarlet Heart Ryeo actually reminds me of a couple other Manga and Manhwa series I enjoyed with heroines that were transported into the past. 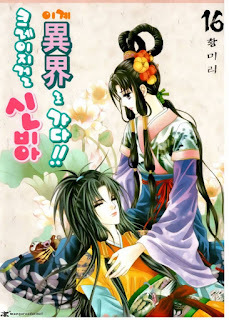 This manhwa is actually kind of crazy because of the main character. She's lazy and tends to get into a lot of fights and has been transported into the past and much like Scarlet Heart Ryeo she is actually taking the place of another girl who already exsisted that she happens to look just like. The love story is complicated and the plot interesting. This is probably my favorite Hwang Mi-Ri series. 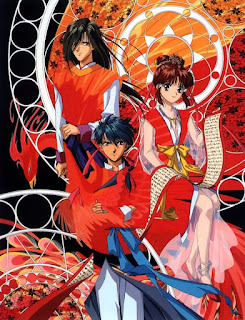 Fushigi Yuugi is a manga series that ranks up there with Sailor Moon and Please Save My Earth for me. It's not only a fantastic manga but a great anime series as well. Plus there are two movies, although one of the movies was kind of iffy in my opinion (of course it was not a Yuu Watase creation). I own every art book, the original Japanese manga (I don't think I own the english translation) and of course all of the series dvds. In fact I'm feeling the need for re-read/re-watch marathon. The series follows Miaka as she is transported inside a book that places in her in a world that resembles ancient Japan. Like that of Scarlet Heart Ryeo she has many protectors and many romances but one of the more interesting themes is that of frienship. As her friends angry and jealousy ends up driving the story to it's epic conclusion. Now I've saved my absolute favorite Manhwa for last. 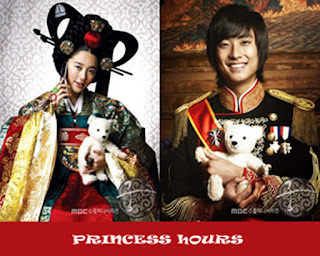 Goong was my obsession when it came out in Korean and I scoured the internet for translations. That was back in the day when graphic novels did not have sections in the bookstore (thus my collection of Sailor Moon, Fushigi Yuugi and Please Save My Earth in Japanese) Nobody travels to another world in Goong but it takes place in an alternate Korea where the old ways still rule. The monarchy still reigns as well as the political drama that goes with it. Chae-Kyung Shin and Shin Lee are promised to each other by their grandparents and forced into an arranged marriage that neither of them wants. Do they fall in love?? Well I guess you need to read to find out... Oh but wait there is also a Korean Drama based off the series called Princess Hours.